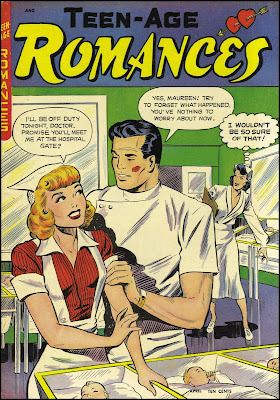 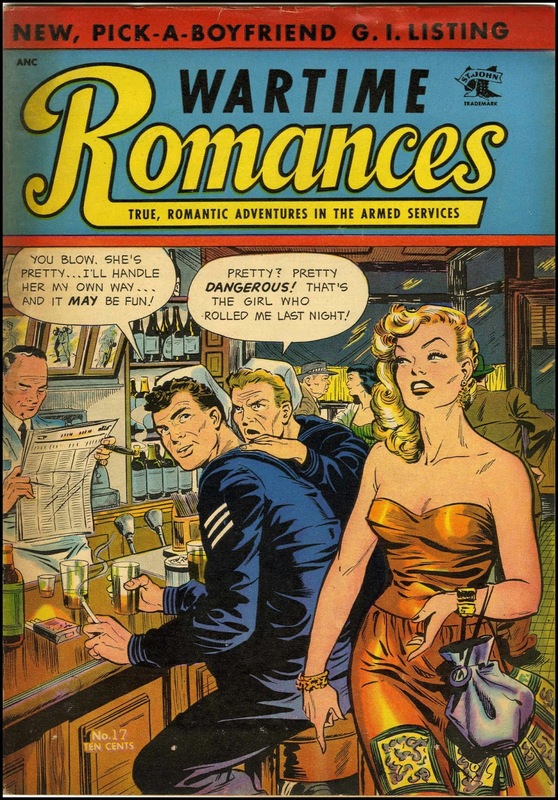 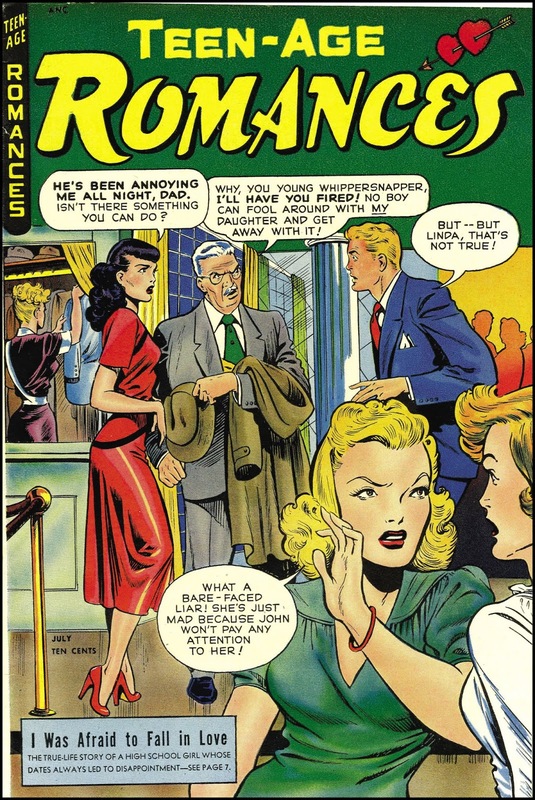 Here's some romance comics with cover art by Baker. 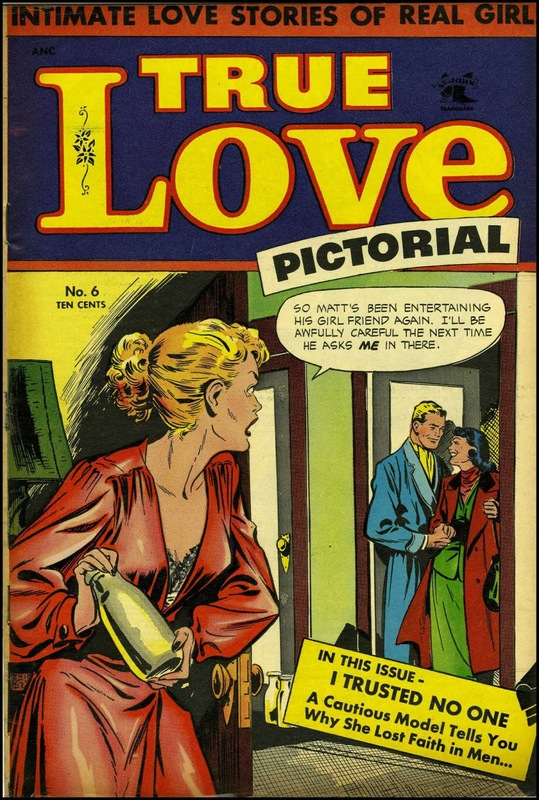 Teenage Temptations #1, October 1952. 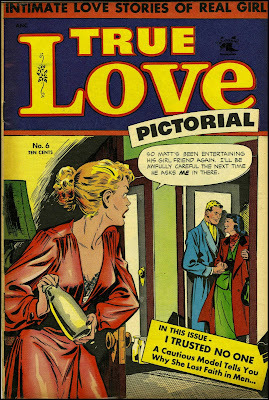 True Love Pictorial #6, October 1953. Wartime Romances #17, September 1953. 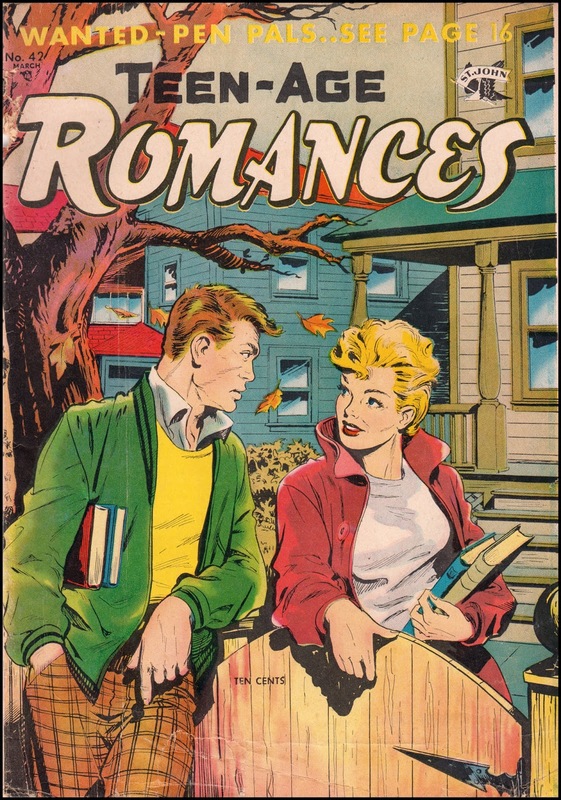 Teen-Age Romances #2, April 1949. 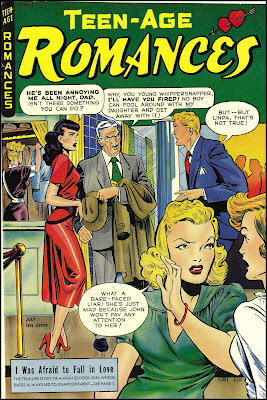 Teen-Age Romances #3, July 1949. Teen-Age Romances #42, March 1955. 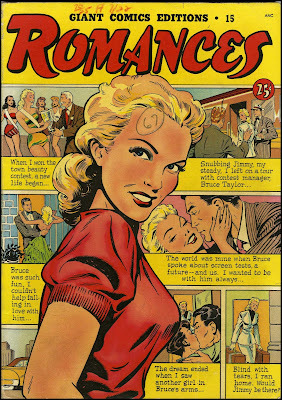 Giant Comics Editions #15, 1950.